Welcome to The Limes Nursery School and Children’s Centre. 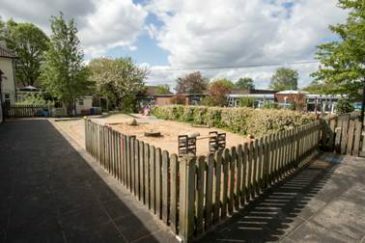 We are situated in the Whitehall area of Easton, next to Whitehall Primary School. The Nursery School, which has been open for 40 years, became a Children’s Centre in 2008. We are a diverse, inclusive Nursery and Children’s Centre. We have a long history of teaching children through open-ended play. We help children to be independent, to make choices and form new relationships. Part of this is, of course, about learning how to co-operate and follow nursery routines. We hope that they will leave us as enthusiastic learners, confident communicators and with a love of books, stories. 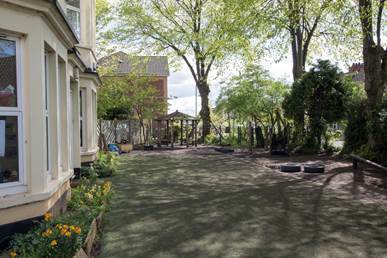 We are fortunate to have a large garden area which gives children excellent opportunities to play and explore. At the Limes, we aim to create a safe nurturing space for children and families. Each child’s individual needs are met, in an atmosphere that celebrates diversity; where everyone is listened to, included and valued. Children are challenged to reach their full potential by developing their creative thinking and being encouraged to follow their own interests and enthusiasms; alongside informed, caring staff, who work in partnership with parents, encouraging them to take an active part in their child’s learning. We aim to enable children to become independent, confident, caring and responsible learners, who are prepared and motivated to face future challenges. 1. 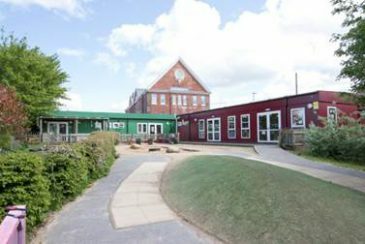 To create a safe, secure, stimulating and purposeful environment where children are motivated, challenged and inspired to learn both indoors and outdoors. 2. To create an environment in which children feel safe and secure and can express choices, make decisions and grow in independence. 3. To enable children to develop a strong sense of belonging, the ability to identify and communicate their own needs and feelings and to be aware of and sensitive to the needs and feelings of others. 4. To create a culture through which children will develop a strong sense of self-respect, respect for each other, their communities and their environment. 5. To establish and maintain a dynamic and inclusive ethos through which children feel valued as individuals and which ensures there are consistently high expectations for all. 6. To be responsive to individual needs and interests in learning through continuous observation and assessment. 7. To work alongside parents and extended families, to fully develop every opportunity for every child to develop their full potential, meeting the changing needs of children and their families. 8. To encourage children to develop in confidence, self-esteem, co-operation and to be respectful of others and their needs. 9. To value and develop children’s curiosity and creative thinking, giving them time to develop ideas and celebrating their learning. 10. To create a dynamic and responsive curriculum which provides play-based, developmentally appropriate, open ended and challenging learning opportunities. 11. To build on children’s personal interests and stage of development, encouraging them to reach their true potential in all areas of learning. 1. Develop respectful, trusting and effective relationships which display emotional warmth. 2. Work in partnership with parents, our community and other professionals to ensure the needs of all are represented and heard. 3. Value, reflect, celebrate and build on our diverse community. 4. Promote a culture of empathetic listening for users and visitors to the centre. 5. Develop a proactive learning community with a belief that learning is learnable. 6. Secure a highly skilled, motivated and committed staff. 7. Maintain professional integrity, high standards and be effective role models.